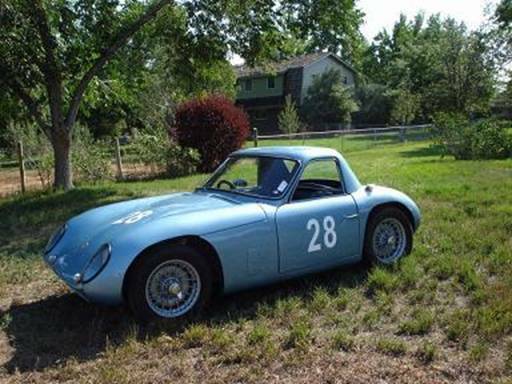 MAY 23 58: COUPE WILL TURN WITHIN 5 SECONDS OF THE RACE MODELS AT THOMPSON (2 MILE TRACK) HAVE ENTERED IN GRAND TOURING RACE MAY 30 BRIDGEHAMPTON. GOING AGAINST GT FERRARIS, GT PORSCHES WITH RS ENGINES. WE RAN IN NORMAL TRIM. THURSDAY WE LEAVE FOR WASHINGTON DC WITH THE SAME CAR 100 POUNDS LIGHTER, WILL RUN IN A 6 HOUR RACE, AND WILL HAVE TO COMPETE WITH MODIFIED CATEGORY FOR SPORTS TYPES (NO GT CAT). JUNE 10TH 58: IN BOTH DAY AND NIGHT PRACTISE THE COUPE WENT VERY WELL MAINTAINED 1MIN 55 SEC LAP ON 2 MILE COURSE. AFTER 5 MINS OF RACING STUB AXLE BROKE. WINNING TIME FOR THE RACE WAS LEMANS TEAM LOTUS LAPPING 2MIN 6 SECONDS. DISSAPOINTING. LAP RACE VERY WELL OVERALL. ON THE WAY HOME BROKE ANOTHER STUB AXLE OTHER SIDE. NEED CLOSE RATIO GEARS FOR COUPE. JULY 7 58: LIMEROCK, COUPE WITH OUT AND OUT RACE CARS (PAUL MANSEAU) FINISHED WELL IN FIRST RACE. 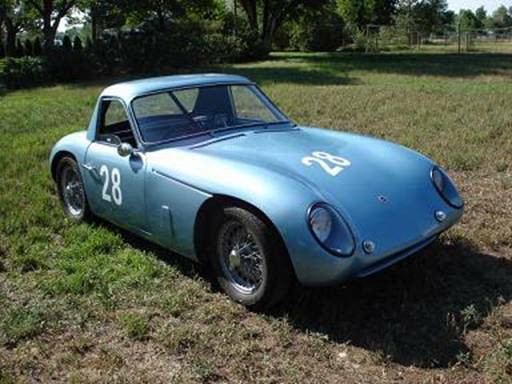 JULY 15 58: LONG ISLAND SPORTS CAR CLUB RACE, NO PROBLEM WINNING AGAINST EASY COMPETITION. 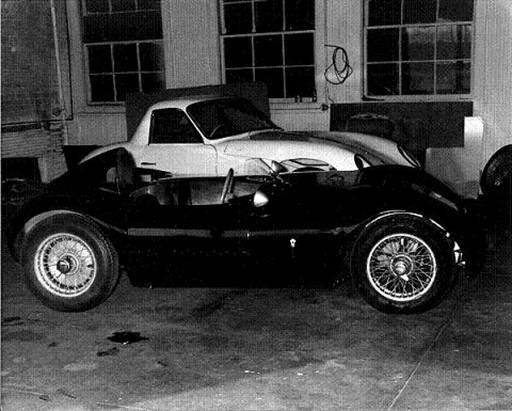 AUG 29 58: COUPE AT MONGOMERY, CAN'T RUN AS PROD YET. AGAINST LOTI ETC. WILL RACE THIS COMMING WEEKEND ALSO. Aug 31st – Sept 1, 1958 Thompson National Championship found in a haybale Entry List, paul manseau Car#28. OCT 20 58: PIRELLIS ON COUPE REALLY WORK. 5.2 REAR AT LIMEROCK PAUL DROPPED HIS TIME TO 1.16, THIS IS AHEAD OF THE PORSCHE COUPES, ALFA VELOCE COUPES, AND MERCEDES 300SLS. BUT STUB AXLE BROKE AGAIN.